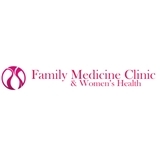 Family Medicine Clinic and Womens Health (The Woodlands) - Book Appointment Online! We are committed to provide Evidence-based, family centered medical care. Our office has been providing health care for the pediatric, adult and geriatric community. Come see us today for all your family needs. Am pleased with all the people that I met at the Doctors office and am so grateful I finally got to choose a fantastic Doctor! Very compassionate and a great listener.